Espey Mfg. 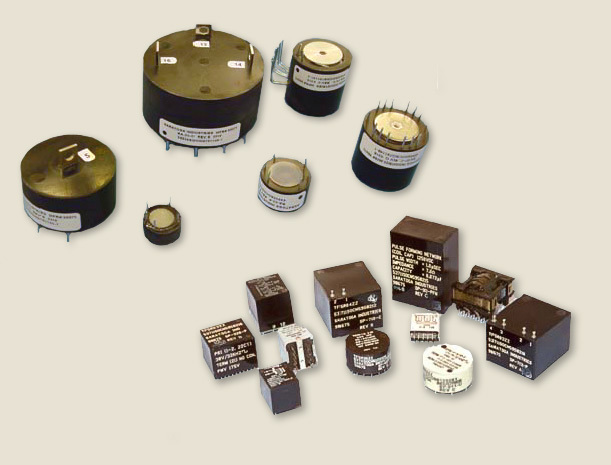 designs and manufactures magnetics for its own power supply requirement and that of its customers. Espey knowledge of power supply topologies enables each magnetic to be engineered with the working experience required for seamless integration into converter and inverter designs. Power, fly-back, resonant, pulse, more..
Operating frequencies up to and exceeding 600kHz. Toroid, bobbin, layer wound, and planar designs available inhouse. Custom Components to unique board/power supply layout challenges. Utilizing modern encapsulation materials and techniques.